Hakka noodles is a popular dish among kids and adults. 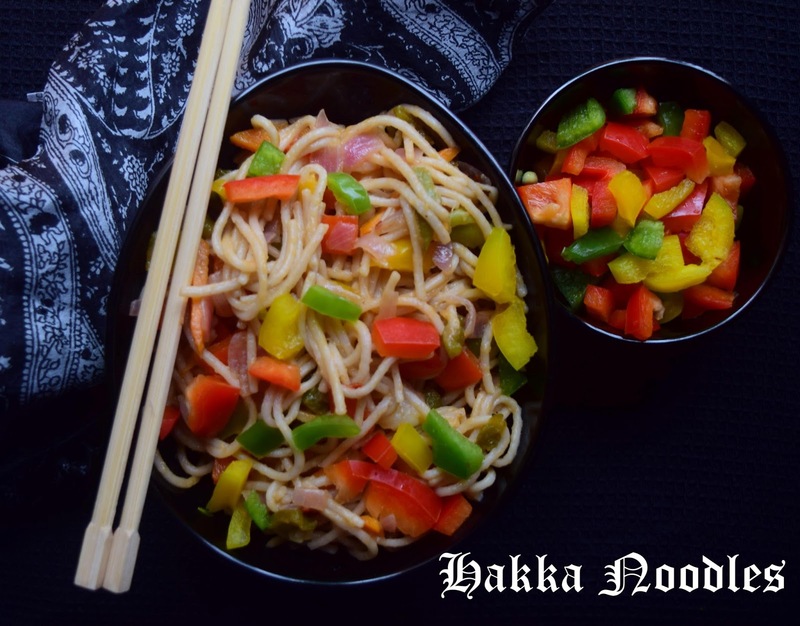 Soft noodles with succulent vegetables and select seasoning result in a mouthwatering dish. 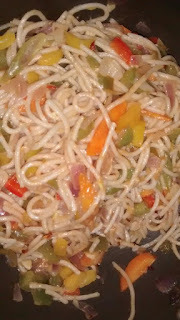 I have used Soba wheat noodles to make this healthy and wholesome. 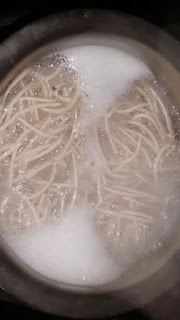 Do try this, its very simple. 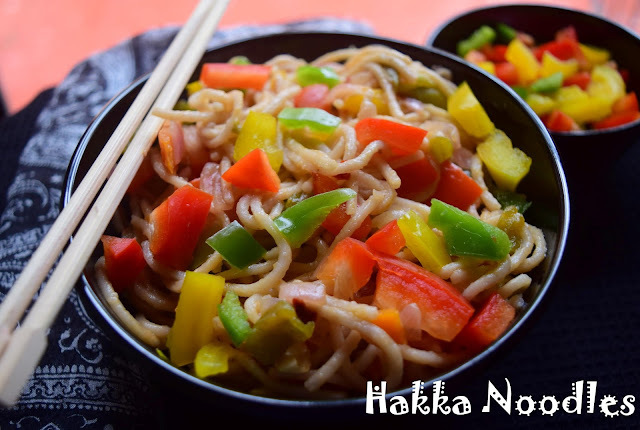 Cook noodles as instructed on the packet and keep aside. 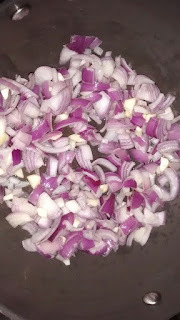 Heat oil in a pan and add onions and ginger garlic paste. 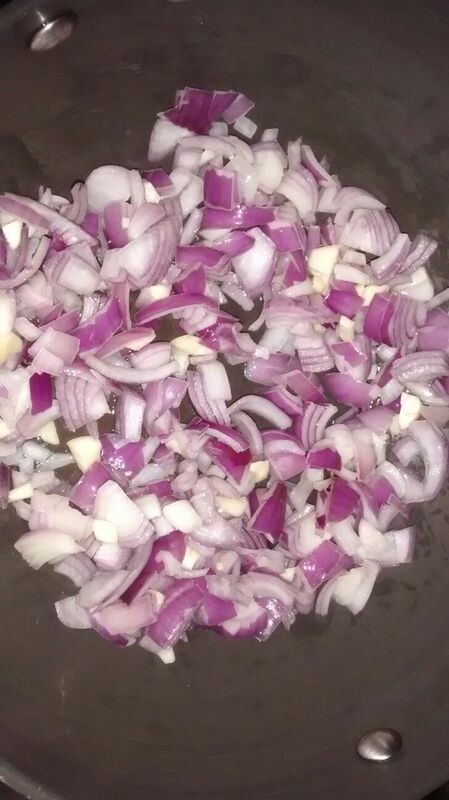 Saute till the onions turn translucent. 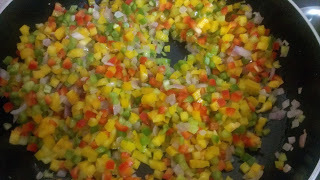 Add capsicum and sauté till they are semi-cooked. 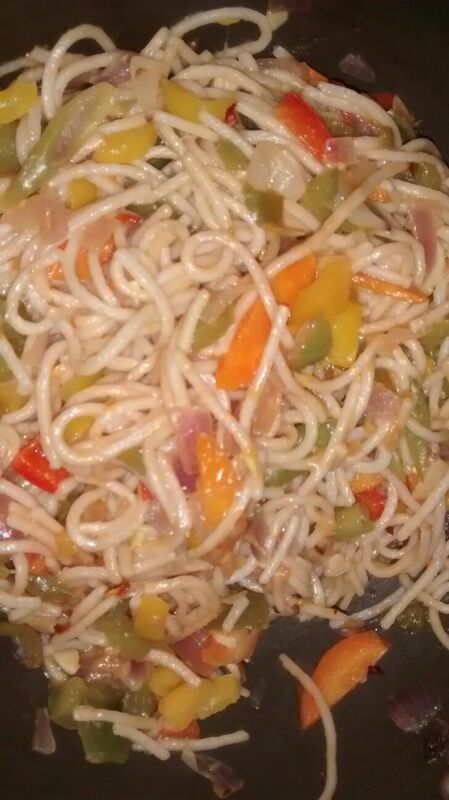 Add cooked vegetables, soya sauce, chilli sauce, vinegar, tomato ketchup, salt and mix thoroughly. Now add the cooked noodles and mix well.